In the past, the X-Men movies perhaps tried to do too much with too many actors – actors that weren’t always up to the challenge. Not so with this installment. I think we all agree that Hugh Jackman owns Wolverine. It’s not a direct comic book adaptation, but that’s okay. He’s made the cinematic Wolverine his own. Patrick Stewart and Ian McKellen are untouchable. James McAvoy, with this movie, certainly won me over as a younger, less capable Professor Xavier. I’ll watch anything with Michael Fassbender, and he makes Magneto somehow noble and terrifying at the same time. The villian, Peter Dinklage, can steal the scene from anyone, anytime. And finally, I have to give Jennifer Lawrence props. They knew what they were doing giving her Mystique the heart of the film. That young woman has proven time and again that she can act! Those are the actors most visible in the film, those are the actors most focused upon, and that is why the film is so very good. Ellen Page, Halle Berry, Shawn Ashmore, and others get some screen time, but they are nowhere near the actors mentioned above, and the powers that be recognized this. Days of Future Past primarily gives us the best actors for the majority of the film, and it proved to be a smart move. Quality is always better than quantity. They made me care about their characters. For me to enjoy a movie, I have to care. Don’t get me wrong, this is still a comic book movie, so certain things must apply. The special effects are flat-out amazing. It’s so wonderful to see Sentinels actively menacing mutants in an X-Men movie. Colossus and Iceman finally look the way we all demanded – their powers, and the other characters’, look organic. The special effects are certainly better, by far, than previous films, but they are also far less obvious. I forgot I watched special effects and simply accepted what I saw as the story. Of course, the film is not perfect. 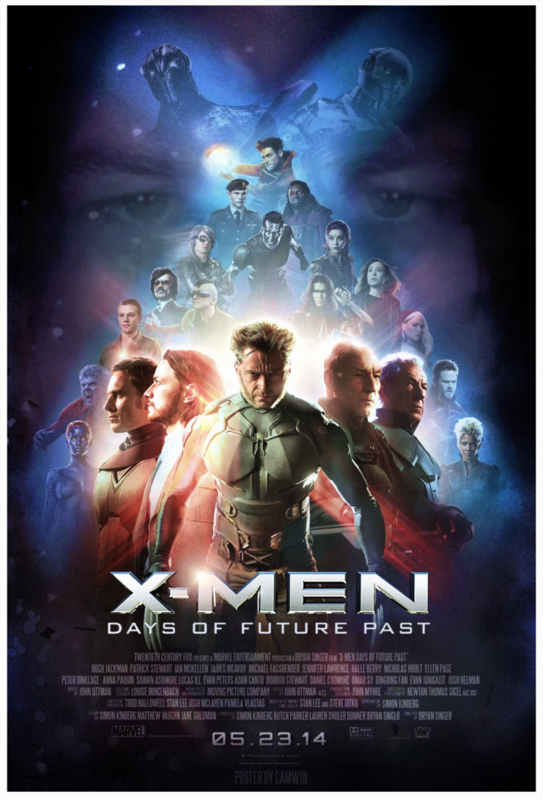 I’m still not sure why Kitty Pryde is suddenly able to send people through time, nor do I understand why Anna Paquin got top billing for a film she’s basically not in. There are a few scenes where mutants were tossed in for the heck of it, especially during the Saigon scene, but it’s nowhere near as superfluous as it’s been in the past (X-Men 3 and Wolverine: Origins spring to mind). But wait, what about the whole Quicksilver thing? Okay, Quicksilver is in the movie for twenty minutes, and he ruled the entire twenty minutes. Is he in there to piss off Disney? I don’t know, and I don’t care. He was the only character I was really leery of seeing in this movie. His silver clothes looked ridiculous in the photographs. But it works. The clothes work with the character, trust me. His speed is mesmerizing. I love what they did with it. Evan Peters put the Avengers on alert. Right now, he is Quicksilver. On a final note, I adored the ending. I won’t go into detail, in case someone has yet to see it, but I actually felt great relief and joy by the ending these characters earned. Wherever they may take the franchise from here with Apocalypse, I’m glad I got to see where these characters’ iterations ended up. This entry was posted in Movie Reviews and tagged comic books, entertianment, Movie Reviews, movies, x-men. I loves this movie, too! I agree that it was strange that Kitty suddenly had the ability to send others back in time, but besides that, what a fantastic film. Glad you enjoyed both the review and the movie! Thanks for stopping by.